As a player of basic guitar chords, I’ve often jammed away on simple chord progressions. Through this process, melodies have emerged. 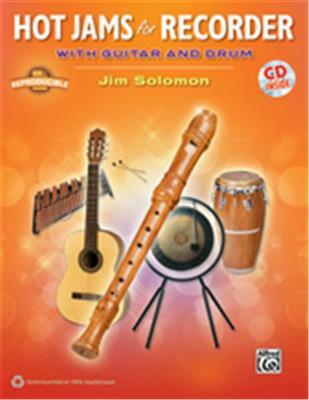 HOT JAMS for RECORDER with Guitar and Drum (#841140) is the product of these emergencies! Well, okay, I realize that’s not a correct use of “emergency,” but you get the idea. Teaching elementary school music full time and working with middle/high school students every summer has allowed me to test my favorite pieces with real players. It is literally a thrill when they grab a piece and bring it to life. HOT JAMS contains 15 recorder pieces accompanied by guitar and drum. The recorder parts are appropriate for upper elementary school students through adult. Many of the guitar chord progressions are standard, but a few are also a bit unusual. However, they are all playable by teachers using basic chords. Some are also appropriate for student guitar players. The CD included has two recordings for each piece: one with all instruments (“Full”), and the second with all instruments except recorder (“Accompaniment”), to allow for performance in situations when no guitar and drum are available, or to give an idea of what it’s all supposed to sound like when played together. Improvisation is featured in five pieces with tried-and-true teaching suggestions for developing improvisational skills. The longer I teach, the more I am convinced that we need to begin improvisation (and composition) immediately with our beginning players. This gives them the tools to create music on their own time, instead of being locked into only playing songs they’ve been taught. The progression of note introduction in my fourth-grade beginning recorder classroom is a combination of two standard approaches. We begin with C2 (high C) to A in the first class, then add D2 in their third class. Using C2 to A allows students to compose and improvise with two notes immediately while performing a mechanically simple finger movement! After they have composed their own melodies for familiar rhymes with those notes, we switch to B, A, G. After that we add E as soon as possible. The notes of the first piece in HOT JAMS are B, A, G, and E.
I hope HOT JAMS for RECORDER provides your students with many opportunities to make music come alive! 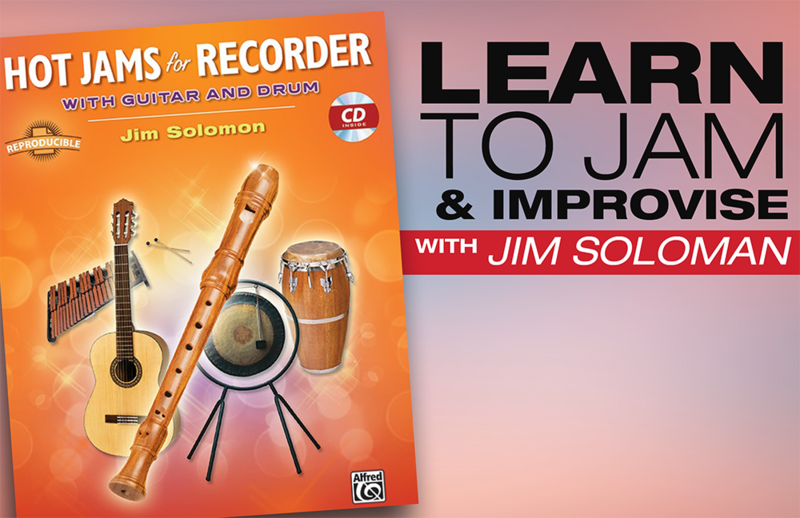 Jim Solomon is a National Board Certified music educator from St. Augustine, Florida, with over 30 years of experience teaching music in the public elementary schools. In the summers, Mr. Solomon teaches Level I Orff Certification at the Eastman School of Music in Rochester, New York. He teaches Rhythmic Training/Percussion Ensemble for Elementary/Middle School Teachers at George Mason University and Anderson University, and he works with Kindergarten-High School students at the Eagle Arts Camp in Jacksonville, Florida. 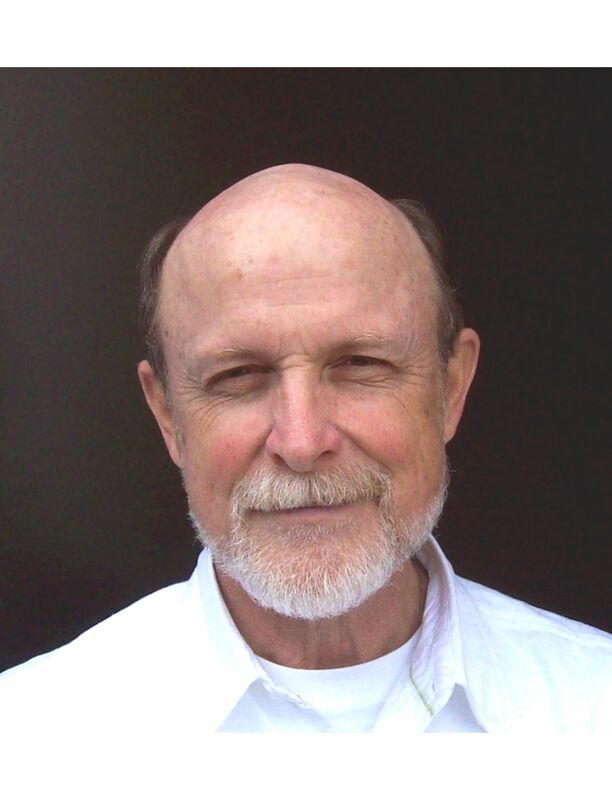 Jim has presented workshops to Orff Chapters and MEAs throughout the country and at numerous American Orff Schulwerk Association National Conferences.